Caribou Mountain Collective is a quartet from Nederland, Colorado. Their extensive original repertoire channels the rich traditions of both Appalachia and Colorado bluegrass. Their original lyrics and instrumental compositions present unique facets into americana. C.M.C. represents the next step in an ongoing revolution of roots music. Though only together for two years, the C.M.C. has already established a strong presence in the music scene. Dobro player Allen Cooke was awarded first place at the 2013 Rockygrass dobro competition. 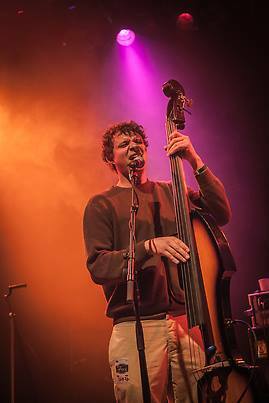 Bassist Curly Collins brings his remarkable stage presence and industry expertise from his five years with Mountain Standard Time. Guitarist Miles Perry masterfully embodies the mountain heritage in his catalog of original works. Their instrumental expertise shines through Miles' songs to present a captivating new approach to a classic sound.